VANCOUVER, BC – Parallel 49 Brewing has announced the release of Brews Brothers Vol. 3, the latest edition of an annual mixer pack of beers brewed in collaboration with other craft breweries. While the 2015 and 2016 editions were 12-packs featuring beers created with a dozen different B.C. breweries, this year’s package has changed in both size and scope, and contains four 650 ml bottles, each of them holding a beer brewed together with an American Pacific Coast brewery including Green Flash Brewing (San Diego, CA), Gigantic Brewing (Portland, OR), Scuttlebutt Brewing (Everett, WA), and 49th State Brewing (Anchorage, AK). 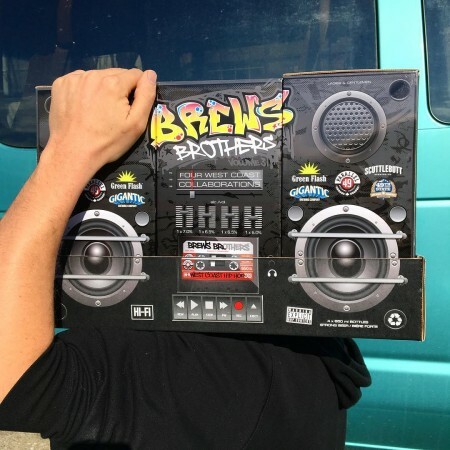 Brews Brothers Vol. 3 is available now at select liquor stores in British Columbia and Alberta while supplies last.